The need for faster data entry has facilitated the rise of Optical Character Recognition. Optical character recognition is a process where image data is converted into text in Unicode or ASCII format. Optical Character Recognition certainly helps. But don’t forget that it is a software at work. Sometimes, the system doesn’t read the data correctly. As a result, mistakes creep into the final data. There have been cases where the data was rendered unreadable because of the large number of errors. What is the opportunity cost of not improving this data? If you don’t correct this data, you will notice the mistakes when you begin working with the data. It will eventually slow you down or even lead to costly errors. Optimal data rectification cleans up all such errors from the data, making it fit for use. If you are looking for an affordable and reliable partner for this work, end your search now because we can help you. We are happy to say that we provide OCR data clean up services also. Our team of experienced data experts will clean up this data for you. Later, you can immediately get to work. Why would anyone use OCR data clean up services? OCR data clean up services are necessary because even after extracting the data, errors arise. Some of the data may not be complete. OCR clean up can fill in the blanks in this data. Sometimes, the characters are misread, introducing errors into the final document. OCR data clean up will rectify this. You will be surprised to learn that OCR data clean ups can return accuracy levels of up to 98% and sometimes, even more. Why should you outsource your OCR data clean up work to Strong Vision Data Processing? 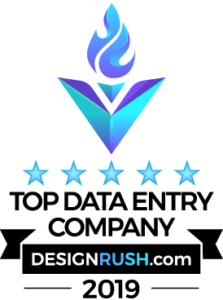 OCR data clean up minimizes errors in the data and increases the usability of the final product. We are happy to say, we have the necessary infrastructure, manpower and expertise to complete this job. We are a cost effective service too. Moreover, our company has a glorious track record of underpromising but overdelivering. Rest assured, your precious data is in competent hands. 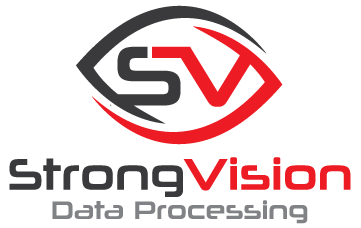 To learn more about our OCR data clean up services, please contact us +91 9822119937 or send us an email at sales@strongvisiondatapro.com. Alternatively, please fill the contact us form and we will get in touch with you expressly.